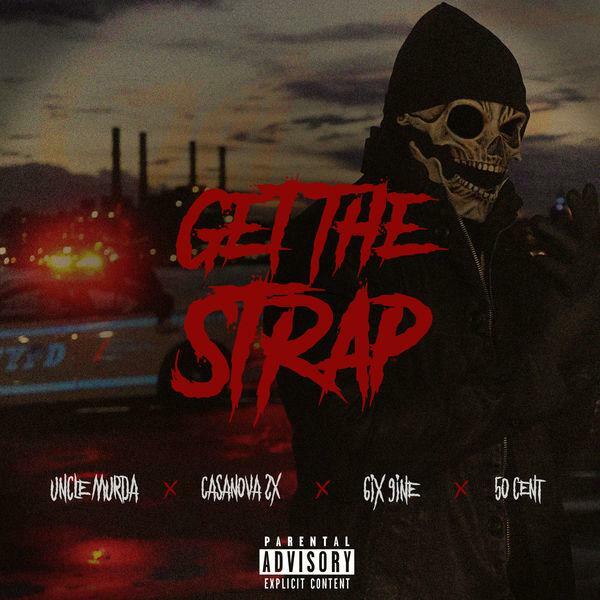 Home>New Songs>50 Cent Songs> 50 Cent, Casanova, Tekashi 6ix9ine, & Uncle Murda Drop Off "Get The Strap"
After teasing the single to go along with his popular catchphrase, 50 Cent has finally released "Get The Strap." The track premiered during this week's episode of Power. For those with the Starz app, the show is available at midnight every Sunday. 50 teams up with Uncle Murda, Tekashi 6ix9ine, and Casanova for the heavy hitting single. Tekashi and Casanova only recently put their beef aside, after a shot was fired when the two rappers and their crews ran into each other at the Barclays earlier this year. The instrumental for "Get The Strap" is reminiscent of the type of beats 50 was slaughtering during his '03-'05 reign. Uncle Murda kicks off the track after 50 Cent delivers his chorus and Casanova lays down his brief bridge. Then Tekashi steps in for a fleeting second verse that is exactly what you would expect from the rainbow-haired rapper. 50 Cent takes closing duties, and delivers the best verse on the track before diving back into the energetic and addicting chorus. SONGS 50 Cent, Casanova, Tekashi 6ix9ine, & Uncle Murda Drop Off "Get The Strap"